Files deleted by you and then emptied from Recycle Bin are often still present on the storage device(hard drive, USB drive, or memore card, etc.) and you recover these files by using a Time Machine or a affordable Data Recovery Software. Fortunately Stellar Information Systems Ltd. have very effective and easy solution i.e. Stellar Phoenix Windows Data Recovery. Its a complete suite of data recovery tools. Recover deleted photos and other files from USB drive , HDD, Memory card, CD, DVD, Blu-rays, SD Card, Mobile Phones, FireWire. Save Data from accidentally formatted drive or corrupt drive. Create mountable drive image or create a bootable system startup DVD. Helpful in case the computer fails to start. Stellar Phoenix also helps you to diagnose problems related to your Hard Disk. Installing this software is very easy as installing any another windows software. I selected one Image, One MP4 file and one MS-Word file, then software asked me to select the location for the recovered files to be stored. The experience was great its so easy to recover files using this software. There are levels of scans which take varying amount of time, Quick Recovery and the working down to more time taking. The more thorough the more better chance of recovering files. 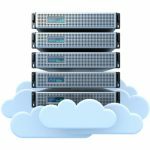 All of the deleted data were recovered without any data loss, All in all, I think Stellar Phoenix Windows Data Recovery is a great deal. 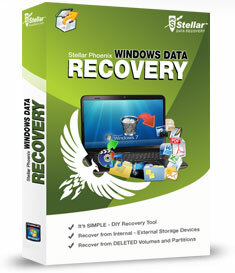 If you are looking for data recovery application which has a bit more advantages, Stellar Phoenix Windows Data Recovery also offer a Pro Version with some additional features. Never tried this before, it would be great if any free version is also available.